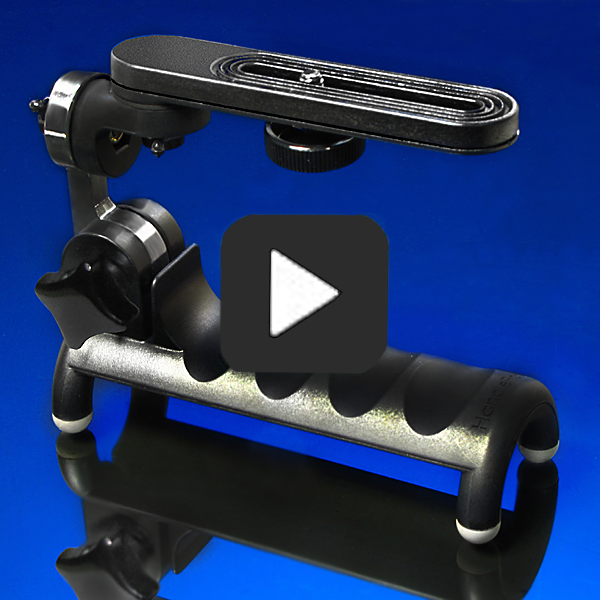 HandlePod® is the only camera mount designed to brace on any solid object using just your hand. 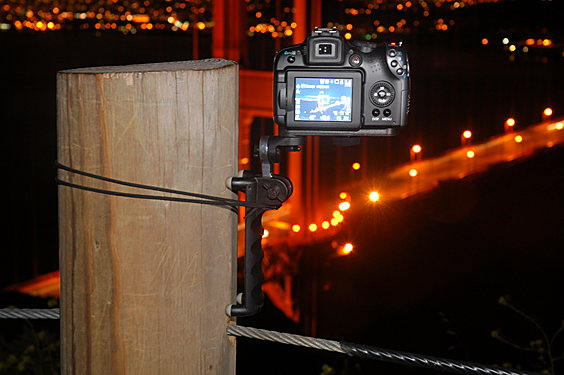 Hold it against a lamp post, railing, tree, car or anything for instant tripod-like stability. Street light, moonlight, stars, any light that requires exposures too long to hand hold is easy with HandlePod and any solid support. Four rubber-tipped feet are high-friction and slip-free. Why four, not three? Most support objects have round or cornered surfaces. Four feet will straddle a round or cornered object and provide four points of solid contact. It’s easy to hold in place. All it takes is a HandlePod, a steady hand and any solid support. HandlePod® attaches firmly to many objects with the supplied elastic cord. Just slip the cord into the slot in the handle, wrap it around any convenient object and cinch the free end back in the slot. This holds the camera firmly in place for hands-free operation like self portraits. The cord stretches to over four feet, so large objects are not a problem. Attach HandlePod to Power Utility poles, trees, signposts--anything less than four feet around. The elastic cord presses the rubber feet firmly against the support for absolute rigidity and zero movement. When a support object isn’t available, HandlePod® provides a firm grip and improved leverage for hand-held photos in low light. 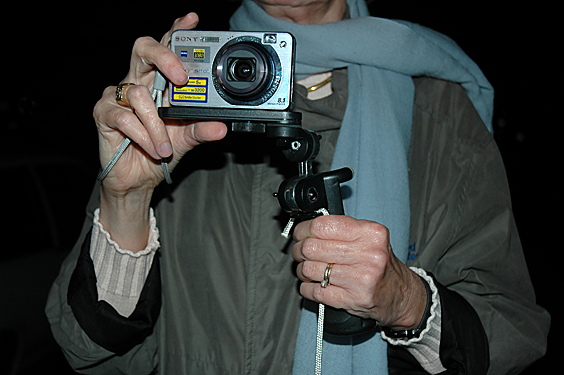 The handle extends to the side of the camera for more steadying power with a solid, two-handed grip. Shoot hand-held with improved stabilization and better results. HandlePod becomes a “String Pod” for even more steadying power by using a simple nylon cord. Slip one end of the cord into the slot of the handle, stand on the other end and pull upward. Pressure on the cord steadies the camera and provides greater hand-held shooting stability. 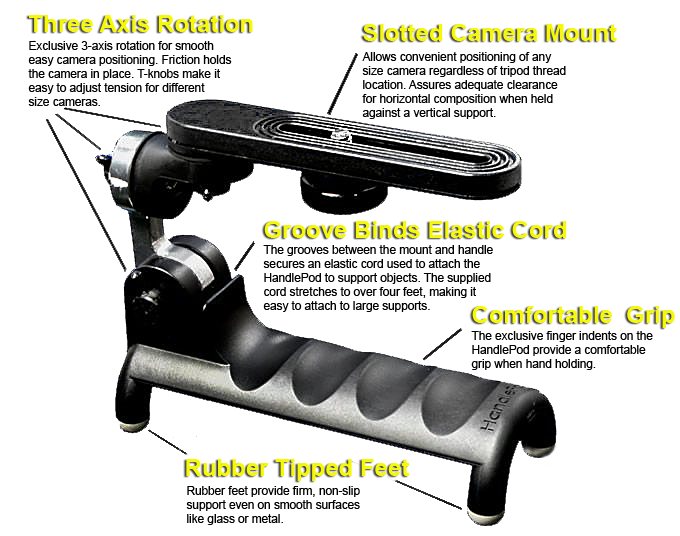 HandlePod® is also a great tool for shooting video. Solid, smooth, shake-free video is as important as camera stability for long still exposures. 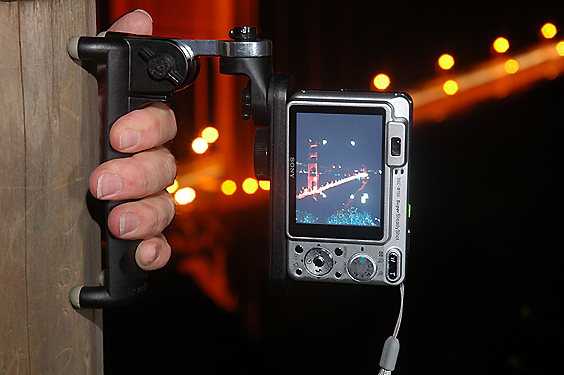 HandlePod gives video all the stabilizing power it offers stills and more. 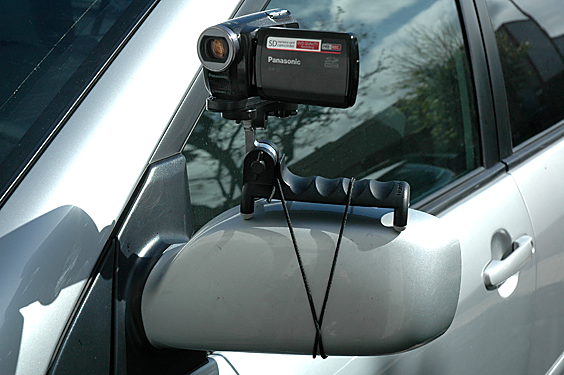 Attach cameras firmly to vehicles for motion video. Mount a camera on your car’s exterior mirror and you have a reliable car cam. Hold HandlePod on the dashboard or against the window glass and car video becomes Steadycam® smooth, without hand-held shake. Other vehicles that offer moving video opportunities include Hang Gliders, Motorcycles, ATV’s, or anything you can attach HandlePod to using its available elastic cord.